Gold nanoparticles may help improve solar energy storage, says a team of scientists. If you apply a semiconductor coating to the star-shaped gold nanoparticles, their efficiency improves dramatically. They can produce hydrogen from water more than four times faster than other methods. Researchers from Rutgers University-New Brunswick said their discovery opens the door to better storage of solar energy. Prof. Fabris, who works at Rutgers’ School of Engineering, co-led the work with Prof. Fuat Celik, also from the School of Engineering. Professors Fabris and Celik, as well as Supriya Atta and Ashley M. Pennington, wrote about their study and findings in the journal Chem. The scientists focused on photocatalysis, which means harnessing sunlight to accelerate reactions. Photocatalysis also makes reactions cheaper. Researchers usually use titanium dioxide illuminated with ultraviolet light. However, ultraviolet light is not efficient. 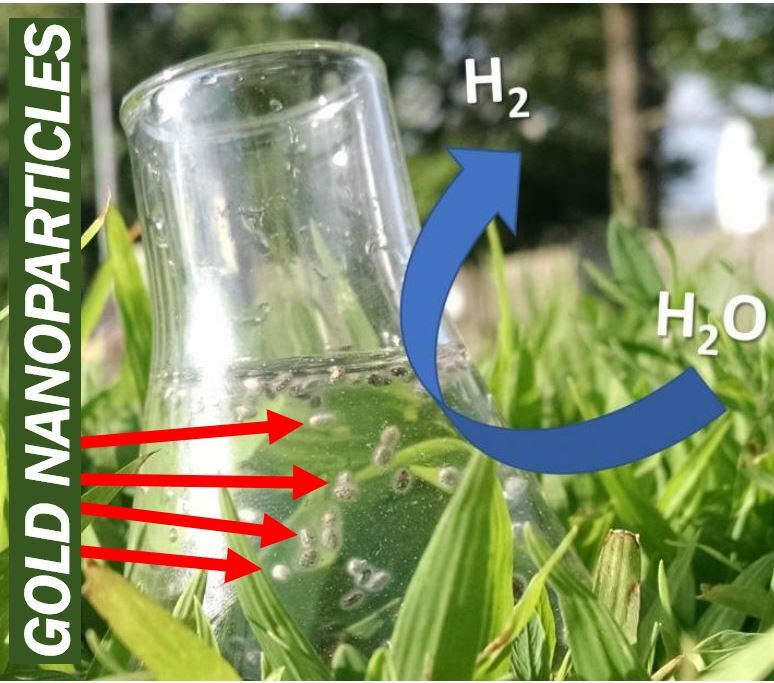 Prof. Fabris and colleagues tapped infrared and visible light that allowed gold nanoparticles to absorb it faster. They then transferred some of the electrons to nearby materials such as titanium oxide. Specifically, the electrons that the light absorption generated. The scientists coated gold nanoparticles with titanium dioxide and exposed the material to ultraviolet, infrared, and visible light. They then studied how electrons jumped from gold to the material. The researchers discovered that the electrons, which trigger reactions, were amazingly efficient. They produced hydrogen from water more than four times more efficiently than anything they had ever seen. We can use hydrogen to store solar energy. When the Sun is not shining, we can combust hydrogen for energy. We use gold nanoparticles in many different fields, such as medicine. We also use them to transform air pollutants into harmless substances or molecules. Solar energy is renewable energy. Unlike oil or coal, it does not run out, i.e., we can use it again and again. Investment in renewable energy is growing rapidly. Scientists say that to combat global warming, we must eventually stop burning fossil fuels. Supriya Atta, Ashley M. Pennington, Fuat E. Celik, and Laura Fabri. Chem, July 2018. DOI: 10.1016/j.chempr.2018.06.004. An international team of scientists has drawn up rules for creating highly-efficient organic solar cells.